I have some of the best friends in the world. They also happen to be the reason I missed posting last night! Last night we had an impromptu girls night. 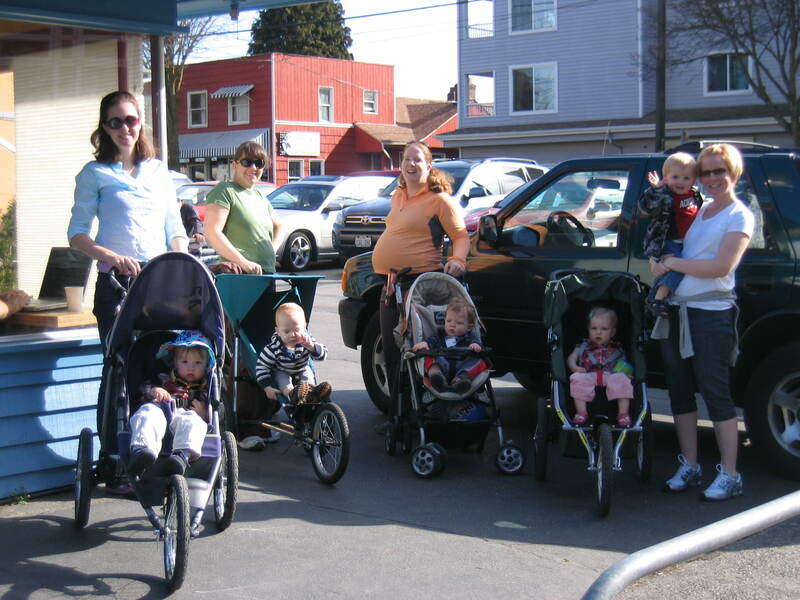 We all met when our first babies were about three months old in a wonderful group that we have here in Seattle called first weeks. http://www.birthandbeyond.com/firstweeks.html It is an open forum for new parents and their babies run by Ann Keppler who is a local co-author of Pregnancy, Childbirth and the Newborn, RN, MN and the mother in law that you wished you had. It is a place for new parent to go and ask questions, meet other parents with babies your same age and for many new parents simply get out of the house and talk with another adults! Being a parent is hard work, it’s the hardest thing you will ever do. Ann’s group makes that transition a little easier. After my first session in Ann’s group I knew that I was going back. Ann and the first weeks group was exactly what I needed when I found it when our son was about 10 weeks old. From her group a subset of moms got together to form our own group as our babies graduated out of Ann’s official programs and we dubbed ourselves Raisn’ in the Rain. The RNR community that I am a part of is an amazing group of women. There is an even smaller subset which I personally refer to as the N. Seattle ladies and these are the ladies who I am the closest with. We trade childcare, have mom’s nights and for almost five years have walked about a mile loop in the Maple Leaf neighborhood on Friday mornings. We celebrate the births of second and third babies and they are the group who supported our family when our second baby was born with a 1 in 25,000 heart condition and died at 9 weeks 2 days. They are the most kind and caring group of women and I am ever thankful for them. I also relish every chance I get to have a ladies night where we can laugh, catch up and talk when our kids are not continually interrupting us and our hubby’s are down for the night. Last night’s gathering was initiated for one of our friends who was just having one of those days, but I needed it just as much. I came home refreshed and ready to tackle anything…. Well almost anything.